This brand new Presbytery of Western Australia newsletter is for congregations, by congregations. It will be published bi-monthly on the second Tuesday of the odd months of the year (except January). Please forward this newsletter to those you think might be interested, and encourage them to subscribe by emailing handsandfeet@wa.uca.org.au. Email Hands and Feet to share your inspiring stories. The deadline for contributions to the May edition is Monday 24 April. There is a new creative addition to the Victoria Park and Districts Star St Uniting Church building. For some time the congregation has been concerned that there is little on the exterior of the building to indicate that it is a church, much less a Uniting Church. We wanted our building to be more visible and identifiable in our community. Our former minister, Rev Gordon Scantlebury, came up with the idea of creating a colourful mosaic which would reflect our congregation in all its diversity of ages, ethnicities and abilities. Gordon designed the mosaic and members of the congregation of all ages participated in creating it, sticking tiles of different colours onto the base. This took longer than anticipated with several Saturday workshops being held and time spent at a family camp on the project. Most members of the congregation contributed in some way. It was finally finished and installed on the building in December 2016. We are very pleased with the result. It is bright, reflects the life and vitality in our congregation, and clearly identifies us as a Uniting Church focussed on Christ. Our hope is that passers-by will notice that we are here and be encouraged to join us as disciples of Christ. 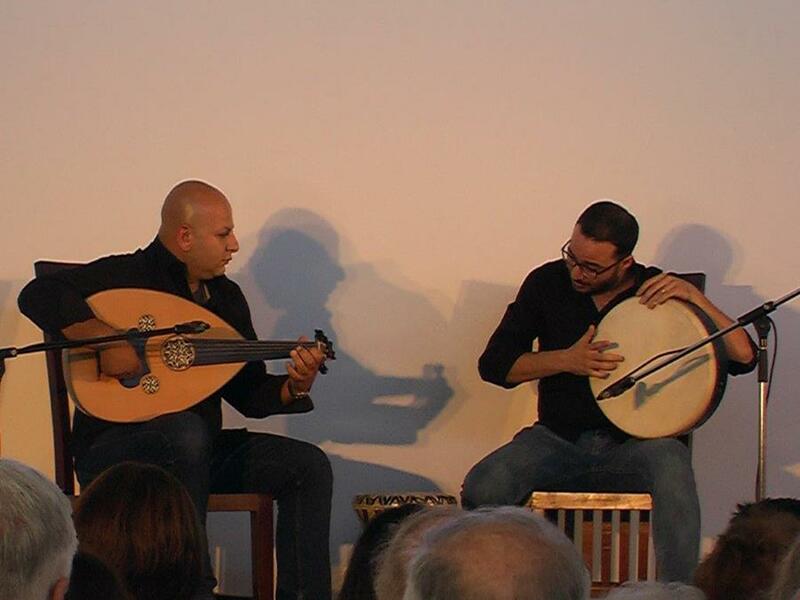 'Merebani' is a Farsi word which simply means 'kindness', and that is what this concert was all about. Initiated by South Perth Uniting Church in response to the increasing need for support for the vital work of the Nedlands Refugee Group at Nedlands Uniting Church, the concert began as a joint project of these two congregations and then gathered the additional support of Mt Pleasant Uniting Church along the way. Held at South Perth Uniting Church on Saturday 18 February to a packed house, it attracted the kindness of an amazing array of musicians and singers who, led by our marvellous master of ceremonies, Louise Bell, donated their time to put on an incredibly diverse and enjoyable concert. The end result was a stunning evening of music, hope and kindness that will shine in the memories of all who were there for a very long time to come. But this concert was about even more than the fantastic music and the best supper ever; it was about showing kindness to local asylum seekers in our community who need our support and friendship. And it was about those same asylum seekers showing kindness to us in all their hard work and assistance in so many ways before, during and after the concert. It was also an opportunity to celebrate and give thanks for the kindness of the dedicated pro bono team of lawyers and migration agents who have done so much to assist the asylum seekers to obtain the visas they need to stay in our country. The concert raised over $2 557 from tickets, the raffle and donations, all of which has been paid to Nedlands Uniting Church to support the work of the Nedlands Refugee Group. We only wish our political leaders had been there to see such goodwill, kindness and friendship shining out from this great evening. 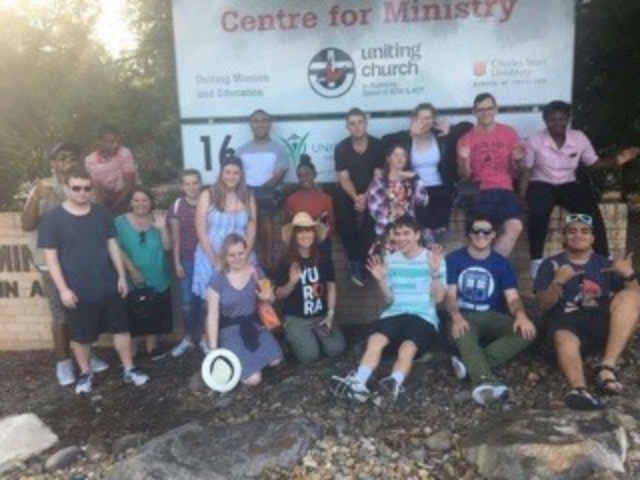 In 2014, a group of young people from Rockingham Uniting Church returned from Yurora NCYC with enthusiasm and a renewed vision of what it means to follow Christ in today’s society. This excitement permeated throughout our congregation as they told of their experiences and shared their stories upon their return. When we first were notified of another Yurora to be held in Sydney in 2017, our Youth Group facilitators set about to encourage and support as many young people who qualified to attend as possible. Of the six who attended the 2014 Conference, four had moved away, however, the two people still with us were instrumental in lighting the fire which spread to the hearts of 12 young people and one chaperone here in Rockingham. We knew that this was going to be one of the best experiences of their lives. The first on board in the support of these attendees was our Church Council. We considered ourselves blessed this year with the hard work and co-ordination of Janine McDonald, First Third Officer at the Uniting Church WA, who really made the tour possible. 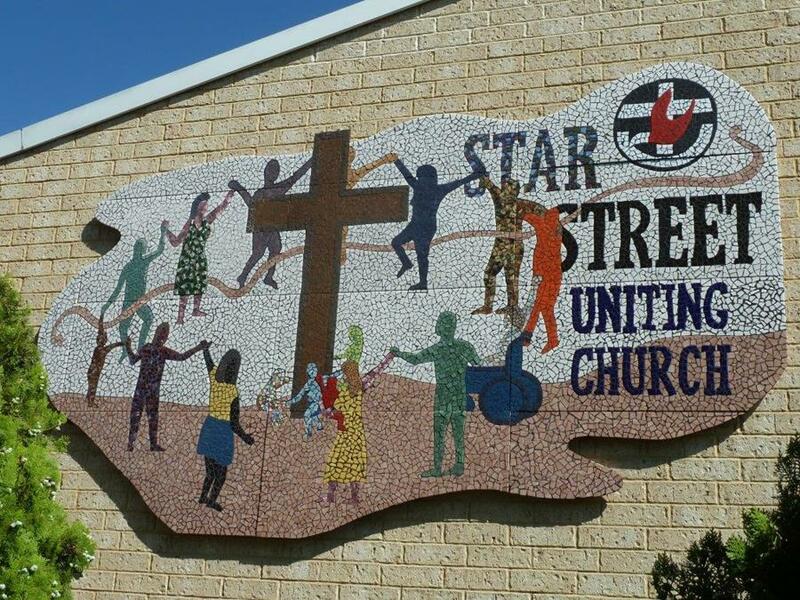 The Uniting Church WA generously reimbursed the attendance fees for all those from WA. Within our congregation we had great prayer support and individual financial donations to assist with airfares, accommodation and tour expenses. The young people themselves fund raised, with a Scone Morning Tea and a Pizza and Games Night. One of our young people who was unable to attend due to her work commitments generously sponsored one attendee. Our young people returned with many happy tales of their faith journey together. They led worship, with some sharing their experiences and others participating in the service. We are praying in Rockingham for a new leader who will, with the assistance of a team of volunteers, continue to nurture and inspire these young people in their faith journey. Uniting Church in the City (UCIC) has been a long-term supporter of CARAD, the Coalition for Asylum Seekers, Refugees and Detainees. CARAD’s ‘Eat. Share. Connect’ program is a new community initiative for 2017. The purpose of the program aims to bring our vulnerable community members together to create meals and share stories whilst developing valuable long-term friendships. Becoming part of a real and supportive community is paramount to the integration of our newest members and ‘Eat, Share, Connect’ is a step in the right direction. Eat. Share. Connect was born, but unfortunately CARAD’s kitchen was not up to the task, with limited room, lack of cupboard space and the oven not working. Our wonderful, long-standing supporter Uniting Church in the City, was willing to help us start this project and provided the funding to do a complete ‘kitchen renovation.’ We are extremely grateful for their continued support. This means CARAD will now also have a more functional place to provide their Foodbank clients ‘with little or no income access’ to more fresh fruit, vegetables and pantry items in a warm and inviting space. CARAD is also pleased to be receiving additional funding from another partner, which will be put to good use to buy cooking utensils and ongoing food supplies. CARAD’s aim is to provide over 1 000 meals per year and with your help and generous support we are confident we will reach that total. 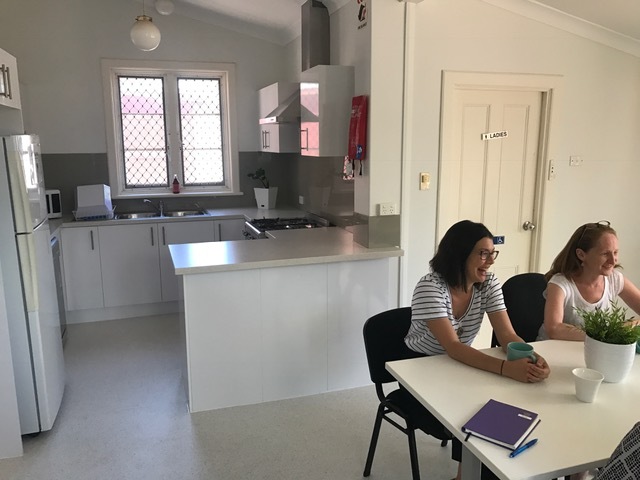 The kitchen was completed recently and will now create the perfect environment to launch the weekly community ‘welcome lunches’ run by CARAD at the centre. CARAD clients will be invited to share food that embraces their culture, culinary specialities and traditions from their country of origin. We are very excited and passionate about the program and our members are also thoroughly ready to embrace the experience with open arms. If you’d like to know more about ways you can support asylum seekers and refugees visit www.carad.org.au. Your support is a step in the right direction to integration and acceptance.